The Indian Premier League (IPL), is back shortly. It’s seen as a bonanza for fans, players and corporate owners, but there’s a danger the tournament represents a distorted form of commodity and consumer excess. The IPL is a corporate-driven Cricket tournament in India featuring a set of city teams playing 20 overs a side (‘Twenty20’) – allowing players from various cricket-playing nations to be bought through bids made by corporate-owned teams. Cricket has captured widespread mass attention in India unlike any other sport, and the way it’s managed and administered has reflected the dominant mode of economic transactions in the country. From being a sport that was a hangover from the British colonial era and restricted to teams divided on communal bases it has become a symbol of Indian nationalism and is now becoming a full-fledged commercial enterprise. Not dissimilar to the course followed by India socio-economically. Sport was always viewed as an afterthought by the post-independent Indian state and there’s no real evidence it was ever tied in with youth development or community building. But Cricket, under the auspices of the Board of Control of Cricket in India (BCCI), formed a structure of age-group, state and domestic tournaments so the sport that has touched several urban and semi-urban areas. The BCCI has followed an opaque model of functioning as it has begun to earn big money because of growing popularity after the victory in the 1983 World Cup – and therefore the commercial benefits of the telegenic nature of one-day cricket. That cricket is a business is nothing new, not at least since Thomas Lord put a fence around his ground and started charging admission (Lords). But the significance of the IPL cannot be in doubt. 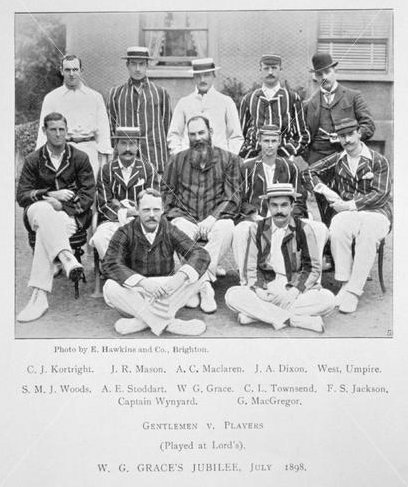 For the first time since the early 19th century cricket teams are to be privately owned. As a result, cricket as a business will further edge out cricket as a public service and popular institution. The IPL is a form of commodity market, where the commodities are players, the owners are the corporates, and the value of the commodity is determined by a set of rules that play itself out with cricketing instruments and more so on the TV screen in the form of commercials. India winning the Twenty20 World Cup has helped the product too. The IPLTwenty-20 has added more capitalist glitz to a nation which is getting used to Bollywood and its new consumerism. The BCCI had the advantage of running the game in the second largest populace in the world and it was only natural that it could influence other boards in releasing players for the IPL Therefore the league got an international flavour adding more more ‘value’. The auction made it clear that commercial values are not the same as cricketing values, and that the franchise owners’ calculations reflect priorities other than putting a winning team on the field. Could the 1st season million-dollar plus bids for Mahendra Singh Dhoni and Andrew Symonds, be explained entirely by their cricketing prowess? It could be argued their celebrity pulling power enhanced their commercial value: Dhoni as Indian captain and fashion icon, and Symonds as pantomime villain. Ishant Sharma, an exciting prospect but as yet without a Twenty20 international under his belt, was bought for US$950,000 by Kolkata; while Umar Gul – the highest wicket taker in last year’s inaugural Twenty20 world cup – was snapped up by the same franchise for a mere US$150,000. Commercialisation of sport exists all across the world. In the USA, for example, major leagues have been established for four main sports – Baseball, Basketball, American ‘grid-iron’ football and Ice hockey. These sports are played seasonally as a well-integrated market that cohabits with a regulated structure. Participation is guaranteed for interested sections through feeder units in colleges and schools, and infrastructure is established through community ownership and city planning administrations. In other words, a fully fledged sport environment with corporate ownership and state and community support exists, transacting action in the various leagues. In Japan, professional baseball leagues involve corporate-owned city-based teams too. Players are ‘fed’ to these leagues from the school and college levels and athlete development programs are coalesced with youth development activity driven by the state. In Spain, club soccer acts as an avenue for regionalism. The local governments play an important role in youth and skill development initiatives. (In nations where the state predominates in planning and administration of sports, such as in Cuba and China, Governments insist they are keen on youth development and participation). The anarchic nature of market-driven sport suggests that only a small coterie of readily-recognisable talent gets attention. Those slogging it out in domestic cricket with skill levels suited more for more rigorous five-day test cricket would pale in comparison to the players getting to play in the IPL Twenty20s. The IPL distorts cricket as a jamboree that values brands above skill. A major danger for the IPL is that it will reflect its model, the English Soccer Premier League in its paper-thin love of celebrity. As the English Soccer clubs have developed into big businesses, dedicated to the maximum exploitation of the product, they have grown more remote from the people supporting the game. Ticket prices have soared; merchandising is relentless; corporate hospitality rules. Increasingly, the owners treat the teams as disposable assets, one part of a larger portfolio. Liverpool FC was bought by two American businessmen, Tom Hicks and George Gillette, both major donors to George Bush’s campaign coffers. Now they are at war with each other over an attempt by Gillette to sell the club to Dubai International Capital, the investment arm of the Dubai government. (At least in Britain the football fans have well-organised supporters associations, rooted in long-term loyalty to their club of choice, and can sometimes make their voices heard and put pressure on owners. These act as like Trade Unions for the club’s supporters and Thee Faction fully support membership). The IPL hasn’t anything similar. Seen from a larger perspective of sports management and administration in the country, the IPL seems a distorted money-spinning exercise devoid of substantial participative value. Thus Thee Faction speculate that an IPL cricketer could earn almost a million US dollars over three years for merely bowling four overs each in about 16 games in each year and for endorsing a brand, while other Indian sportspeople such as hockey players suffer from lack of compensation and training facilities. Reliance on corporate bodies alone to promote sports brings commercialisation-inflated value for the commodified participant and pandering to voyeuristic desires if the spectator is successfully consumerised. The corporates involved with the IPL are surely unlikely to earn any money in the initial years; returns, if any, will come later. Why then are some of the biggest names in the business? There could be many reasons. The professed ones are related to brand building. The more accurate explanations are of two kinds. One is donors’ vanity. A second reason is that it is a sign of excess all around that this finds its expression in many areas – excess in the lifestyles of the rich, excess in consumerism, excess in business endeavours and excess in bidding for team licences and players. History tells us that the period of excess is followed by a period of collapse. Leisure time granted to the Proletariat during the industrial revolution on Saturday afternoons was designed to prevent popular revolution. Businessmen moved in to charge gate money. Playing sport is, to them, ideal preparation for the capitalist productive process. Thee Faction believe that in the future 22 players will play Cricket for the enjoyment of testing one’s body, teamwork and their interaction with the sporting environment. Competitions such as the IPL are a vaunted triumph of the free market; but it proves less about what Adam Smith called “the invisible hand” and more about a sleight-of-hand collusion between public authorities and private interests (IPL franchises do not operate in a free market, since each one is guaranteed a monopoly in its respective city, which is not the case in English football). The BCCI claim the IPL money should improve Cricket’s infrastructure but the franchises are under no obligation to do this, and anyway this would be restricted to the eight conurbations involved in the league. The BCCI is a public body holding the rights to cricket in trust. What it has done through the IPL is to privatise a public asset. Like other privatisations, it has been accompanied by hoopla that obscures the real nature of the transaction, and its real cost to the public. The IPL is a surrender to the ineluctable statement that commercial forces are inevitable, like forces of nature, and it’s a mistake to try to hold them back. In fact, the IPL, like other privatisations, is the result of policy, and simply reflects the power of the narrow social strata that benefits from it. Thee Faction are against exploitation of sport for Capitalist enterprise.